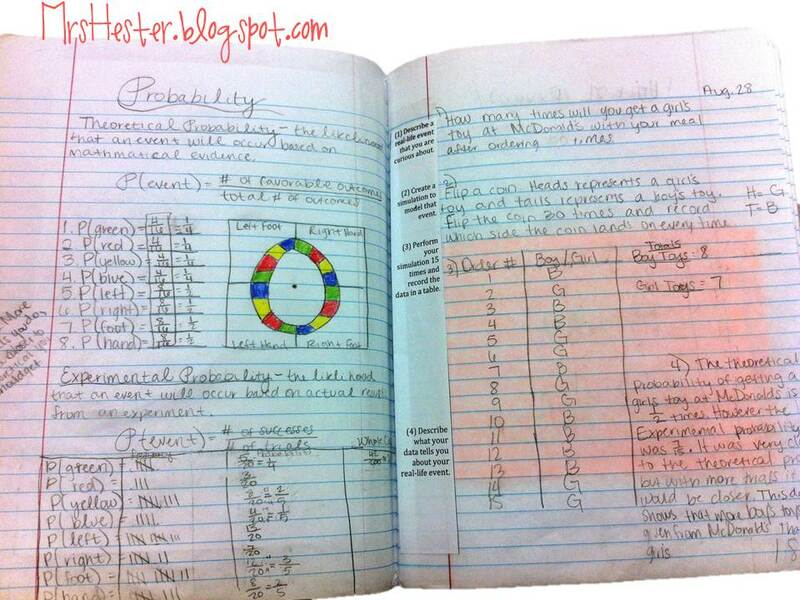 We used this product by Lisa Tilmon to talk about theoretical and experimental probability. 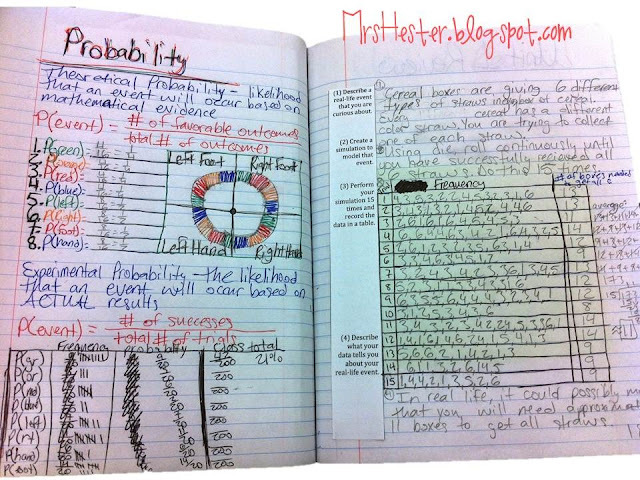 Students included the results in their notebooks on page 17. 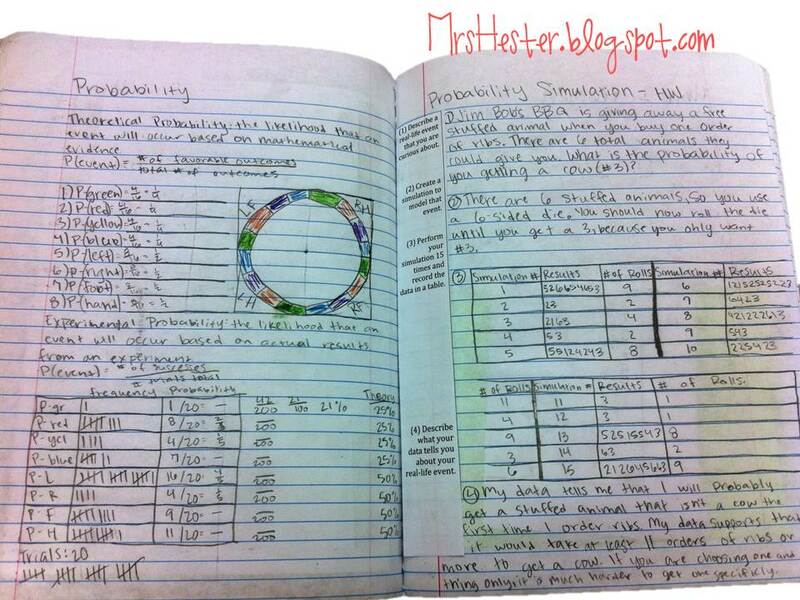 Students then completed this simulation investigation made by yours truly. Download your copy for free! They then completed their own simulations for homework on page 18 in their notebook. In case it's hard to read, I printed thin pieces of paper to be taped in so they didn't have to copy anything down, risk missing a key piece, or waste valuable class time. The paper says: (1) Describe a real-life event that you are curious about. (2) Create a simulation to model that event. 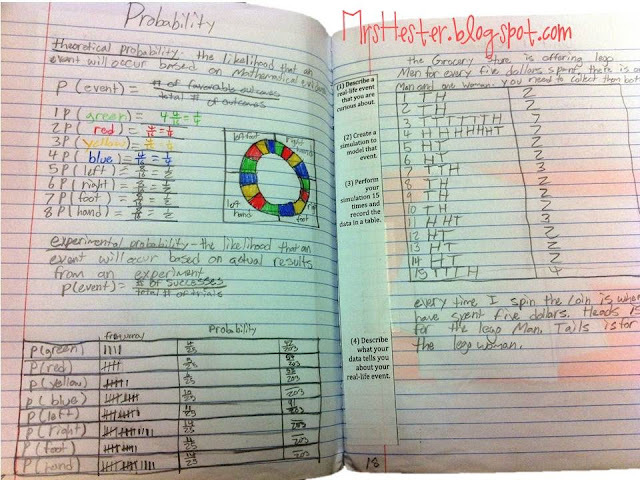 (3) Perform your simulation 15 times and record the data in a table. (4) Describe what your data tells you about your real-life event. P.S. I now have a Blogloving icon in the sidebar! Click it to follow!!! Great post! I like how you included the strips on the side. I'm doing this for the first time this upcoming school year (INB's) and am so nervous about time and saving paper! We only get a limited amount of copies and i want to do a number of foldables/flippables that are will need best be copied in order to save time. I've found strips like this and printing multiple copies per page are life-savers! I've even just printed the tedious graphs or problems (multiples per page) and had students tape them to full-size paper to make the foldable. You get a great foldable but also use less copies!